Winning Cause won the 32nd running of the Coolmore Lexington Stakes today, Saturday April 20, 2013 at Keeneland in Lexington, Kentucky! 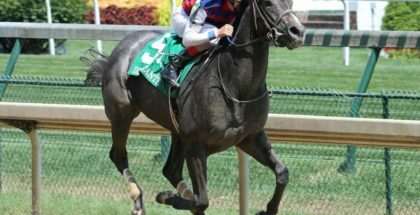 The Lexington Stakes wild-card race awarded Winning Cause with $200,000 and 20 points towards his 2013 Kentucky Derby Entry. 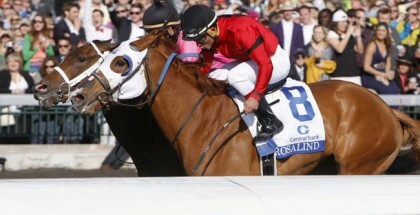 The 2013 Coolmore Stakes win was Jockey Julien Leparoux’s second win of the day at Keeneland. 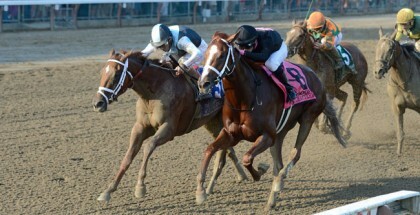 Julien moved Winning Cause swiftly across the finish line passing up Pick of The Litter and front runner Cerro. 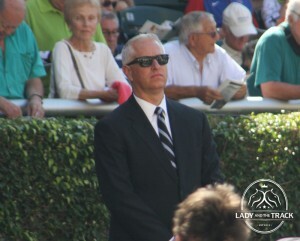 Trainer Todd Pletcher, Julien Leparoux, and Winning Cause won the 2013 Coolmore Lexington Stakes today. Lady and The Track’s guest handicapper Craig Trapp from PicksandParlays.net predicted Winning Cause would take the win! 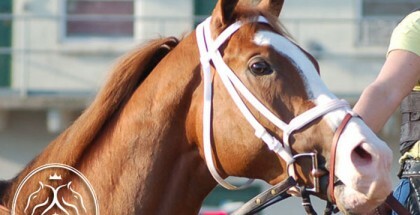 See Craig’s Lexington Stakes Picks Here.